Journalist Gene Kerrigan has written four acclaimed novels set in Dublin's criminal underworld. 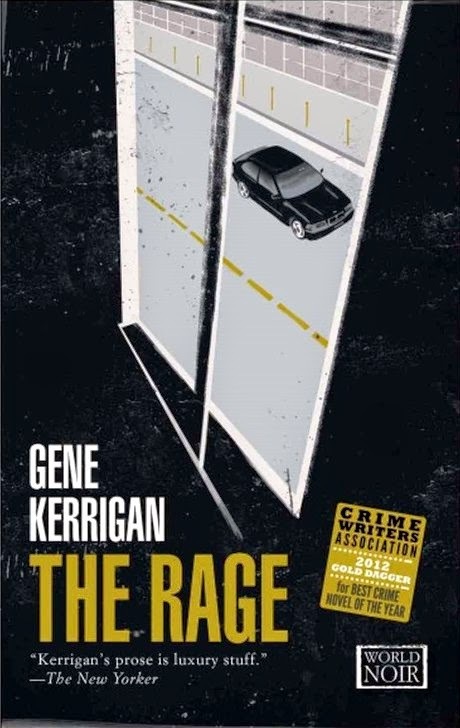 The most recent, The Rage (2011), won the CWA Gold Dagger for Best Crime Novel of the Year. "A complex noir thriller that's multi-layered and solidly written, with great style and pace .The depiction of post-crash Dublin has a real sense of menace and threat throughout." His other crime novels are Little Criminals (2005), The Midnight Choir (2007) and Dark Times in the City (2009). Kerrigan grew up in Cabra in Dublin and one of his early jobs was as a cinema projectionist. He has been writing political commentary about Ireland since the 1970s. His non-fiction books include the autobiographical Another Country: Growing up in ’50s Ireland (1998), and Goodbe to All That: A Souvenir of the Haughey Era (1992). He is a columnist at the Sunday Independent newspaper.